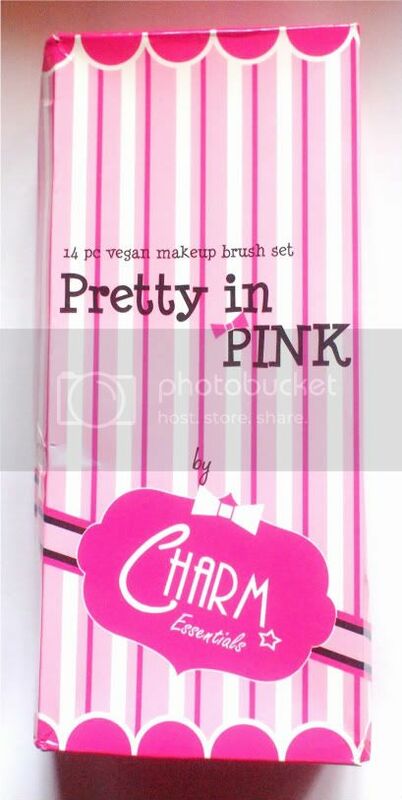 Remember when I reviewed the 14-pc Vegan Charm Brush Set here? Well, I know this post is long overdue but I am keeping my promise. No more beating around the bush. Here are 5 reasons why I keep the Vegan's little cousin, the Charm Pocket 5-pc brush set with me always. Reason no.2. 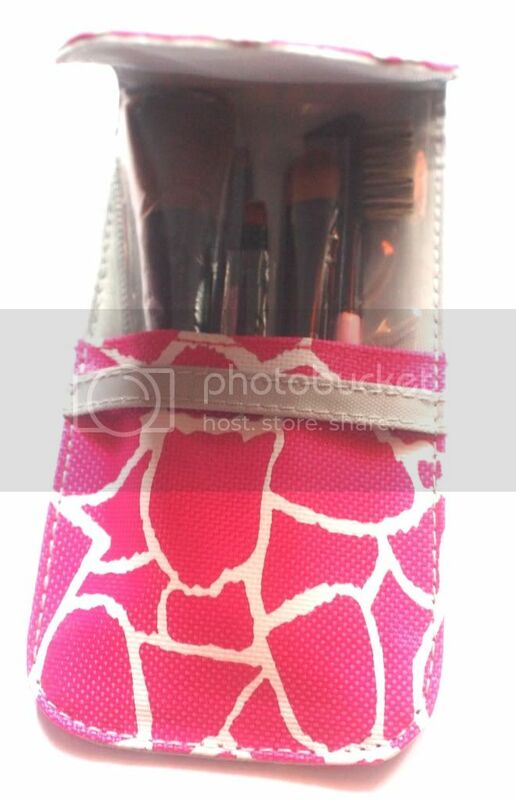 The Charm Pocket 5-pc brush set's brush case is my kind of pretty: sturdy and bright! My friends used to tease me for having a "pouch" bag aka. a bag full of pouches! My bags are almost always huge, heavy and full! I don't know why, but I just bring so much with me. I'm what you would call a heavy packer and with that comes the inevitable battle of the pouches. A lot of my bag essentials are could-be war survivors because with my daily grind (and lack of gracefulness), scratches and other forms of wear and tear are my bread and butter. Enter the value I put in recognizing product quality. 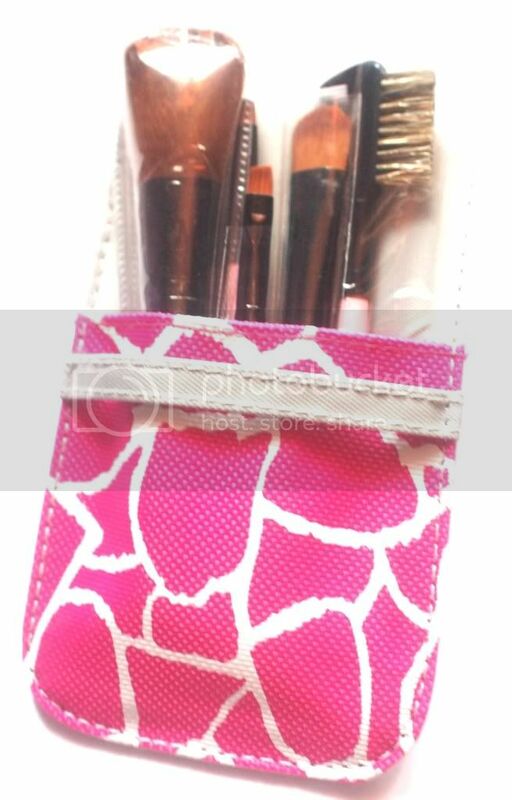 The Charm Pocket 5-pc brush pouch definitely brings home the bacon. Reason no. 3. 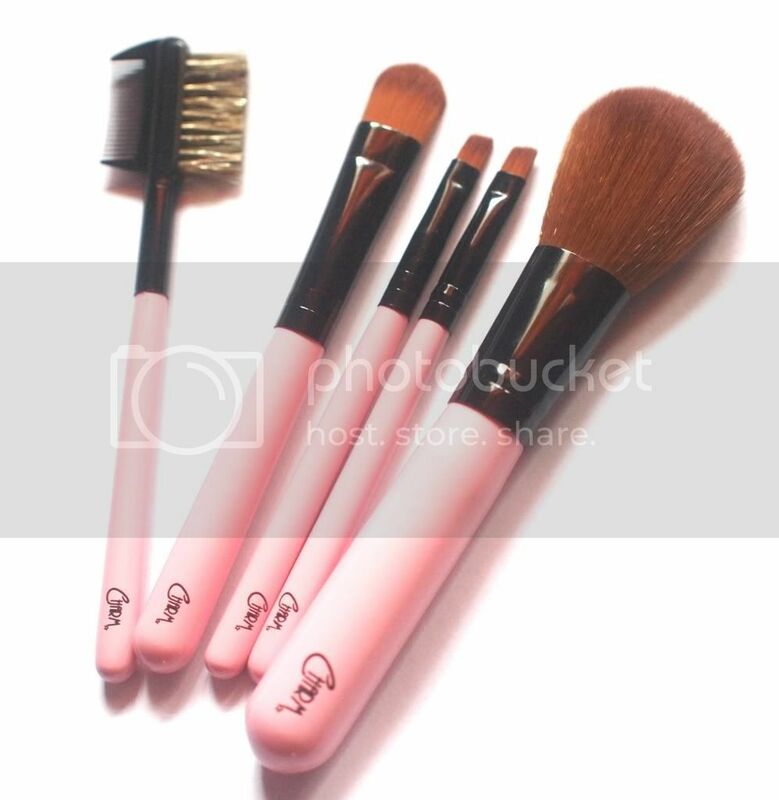 The Charm Pocket 5-pc brush set is very affordable. The Charm Pocket 5-pc brush set is a steal. It retails for only Php 500. For beginners, that's a hundred pesos a brush; but factor in its commendable pouch (trust me, if a product is made for travel, you've got to check if the case can also endure the miles), you'd end up with roughly eighty pesos per brush (if you value the pouch at one hundred). Remember those Php 3,000 peso brushes you invest on--and justify as an investment because of the million ways you say you can use it--well, just imagine how much of a steal the Charm Pocket 5-pc brush set given its "less than a hundred peso" multi-functional brush variety. It's like having ten brushes when you only have five. Reason no. 4. The Charm Pocket 5-pc brush set does not irritate my skin. A lot of us make-up geeks are also skin-zophrenics. Because we understand our body and how our body responds to tender loving care, we also are very sensitive when it comes to anything that touches our skin--more to our face. We are mostly all aware of our options when it comes to finding the perfect full-size brush; but for travel kits, I'm sure you've had that moment of frustration when you just question the world: "Why, why don't you give me palettes that come with reasonable brushes!?!?!". Well, the best thing I love about the Charm Pocket 5-pc brush set is the fact that it's made with soft hair so it's the perfect solution to my personal frustration with "free brushes". Reason no. 5. The Charm Pocket 5-pc brush set is easy to clean. A huge part of "maintaining a brush" is hygienic. I know how a lot of us, especially when we were just starting out with this whole make-up geekery, take advantage cleaning out beauty tools. Now that I claim to be a "learned" woman, I keep my tools in tip-top-shape by keeping them clean. The Charm Pocket 5-pc brush set is definitely the type that likes bathing. I have no complaints. If you'd like to learn more about this set, check out what Beauty and Minerals got to say here. However, here are two things I would like the set to improve on. Comment no.1. I hope it can improve on the pouch's inside "jacket". I think it'd be awesome if the brush case was stain-proof. Comment no.2. 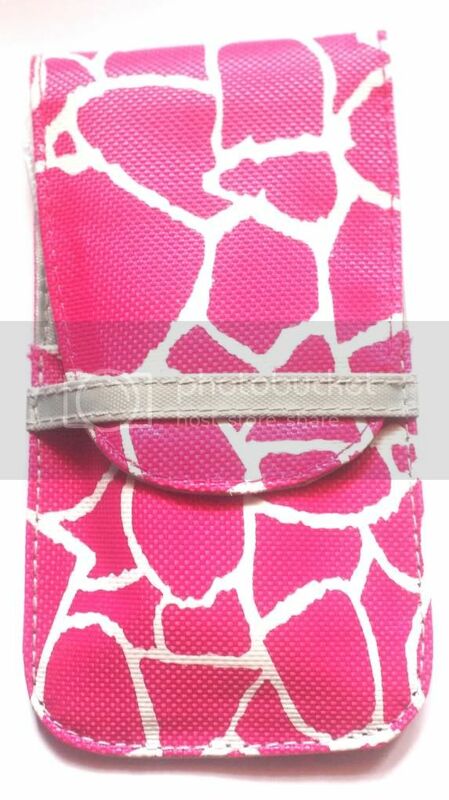 Perhaps the case can have a mirror like other brush cases so it's so much more perfect for travel--very all in one! Like Beauty & Minerals / Charm Brushes on Facebook! Speaking of PINK! I can't wait to upload my Pinkbox tea party experience! Always take the time to do a little extra something (special) in everything you do. It's certainly charming. Very cute little brush set. Always wanted to try Charm brushes but I have a 12 piece brush set from Suesh so sayang naman if I buy another brush set. Charm brushes seem to look better though...pink pa!